We can only ship to winners in U.S. and Canada. Our Canadian members will only get the hookah (w/o the tobacco due to custom issues). Contest ends on January 31st (modified) at midnight (central time). 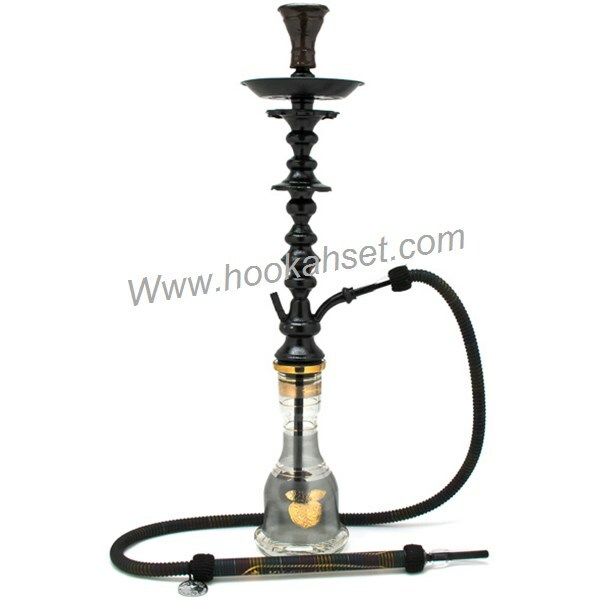 The prize is an awesome Khalil Mamoon Black Shareef Hookah generously donated to us by HookahSet.com. Will the mixes be voted on? Or will the winner be done with a random draw? Why is no one entering ? If I was in the U.S. I'd enter right away this hookah looks so nice. It usually take a few days before someone entering. My guess is that most people wont want to post a picture of themselves. We had that issue with the last contest too, some people didn't want to have themselves in the photo so they couldn't enter. But Nima is right too, sometimes it takes a little while because we like to do creative contests and it takes some time to think of an idea. I'm going to make a quick video on my channel about the contest, hopefully that will send some people over. Nima, you should see if Paul will do one too. Without a picture of themselves smoking the hookah, its just coming up with a text line and writing it down to enter. I just think the hookah is too nice to give it away that easy. I'll send out an email newsletter about the contest tomorrow too. I think il enter too I might move to Canada next year so if I win could I get it shipped then? Been working on a few. I have two contenders. Just have to get my mind set on which is better and go all out for a picture. If you enter and win, I'm happy to keep the hookah for you (unopened) until you move to Canada or ship it to you in Canada if you're willing to pay the shipping cost for it. I think I have a mix but without having the shisha on hand I can't test it, good thing it's time for me to go to the store. Since I've done so many mixes with pictures, how many mixes can we enter in the contest? Granted I'm going to have to do the mixes again so I can take a picture smoking it, but I thought I'd ask.